The development at the IEDPU programme where some louts and street urchins shouting ‘Sai Bukky’ disrupted a community event is disappointing, embarrassing and antithetical to good moral and ethics for which Ilorin community is known. 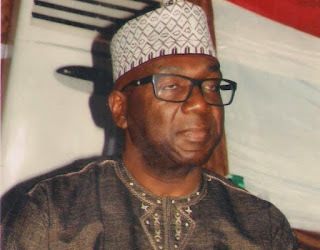 Apart from reminding everyone of the desperation for which the evil status quo in Kwara is known, the sad event clearly points at the extent to which the parasitic gangs will go in the coming months to continue to keep Kwara and its people down. The disruption of the event just when the Kwara APC governorship candidate AbdulRahman AbdulRazaq was about to give his speech exposed the shenanigans of the urchins and their paymasters whose uninspiring radio programme earlier in the day has drawn the scorn and condemnation of every Kwaran home and abroad. The disruption was probably a damage control for their insulting radio programme. The intention was to damage the good image of the APC candidate and slow down the tsunami that is already consuming their unproductive political fiefdom in Kwara. But they clearly failed in their evil plot as their thugs -- similar to what they did in Offa where their ankara wears betrayed their allegiance -- were too crude to conceal the fact that they were on an errand to attack AbdulRazaq and make it look like the fine gentleman was going about with thugs. Like a cobra fighting for its life, everybody knows that they have since lost the battle of ideas and are unabashedly desperate to wrestle in the mud to survive. It is too late. The people of Kwara are saying ‘Otoge’ -- enough is enough. We will not wrestle with the pigs. We won't fall for their gutter politics. We are for decent debate, even as we mobilise the people of Kwara to end the years of tyranny and corruption. Regardless, we wish to state that we are bonafides of not just Ilorin Emirates but Kwara State and we won't watch while some political merchants who have no real stake in Kwara deploy their sidekicks and thugs to unleash violence on our people. We will ensure that the characters who disrupted the IEDPU for political reasons are arrested and made to face the full weight of the law. We call on the police and other security agencies to be alive to their constitutional duties and bring those characters to book. The development is a red flag and should be nipped in the bud. We believe our security agencies are competent enough to ensure that people who don’t conform to basic ethics of proper behaviour in public space are made to account for their deeds.